Many have walked this path and many have failed. Some publicly and spectacularly. Most instead slowly become something antithetical to the “better system” they hoped to build. The reason so many fail isn’t because they aren’t well meaning or smart. It’s because the incentive structure of online news is fundamentally broken. An extreme example? Yes. But this disconnect is why, despite good intentions of digital news outlets, nearly all eventually drift into a weird double life. One where, on one hand, they are producing objective journalism that improves Americans’ understanding about their world. While on the other, they are subverting any trust gained from that journalism to make money. These incentives align fine for most editorial websites. But when applied to current events/news coverage, none of the methods to increase revenue involve uncovering corruption or increasing understanding. The above steps can be profitable without ever being “correct” or “fair” or nuanced or any of the many characteristics of capital-J Journalism. Instead, each way of making money creates an unending pressure for scale and reach at all costs. Let’s look at specific examples. 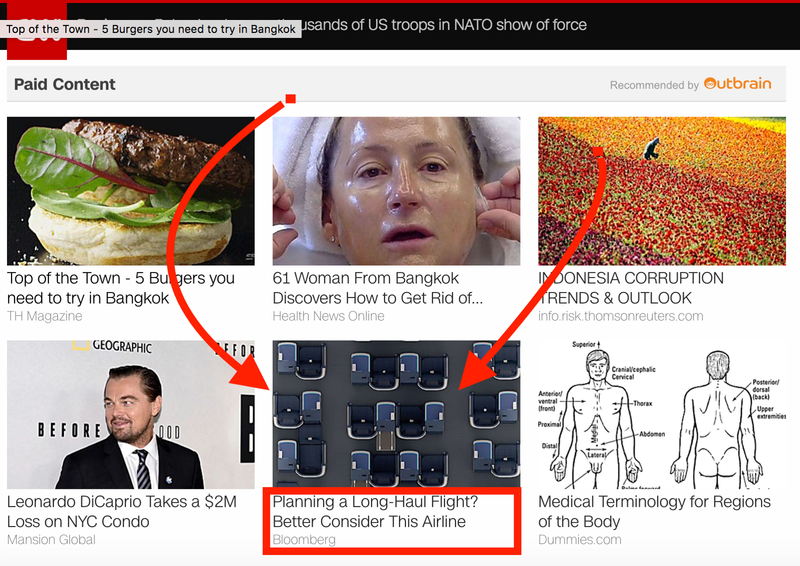 Native Advertising is when news outlets create an article or video for an advertiser that appears similar to the site’s “real” content. The outlet then promotes that content using the publication’s social channels. In some cases, news outlets have internal creative agency divisions that build the campaign for the brand. In other cases, the brand provides the content. Oftentimes, the content has a small marker that says it’s sponsored. Though studies have shown that adults and supposedly-digital-savvy children alike struggle to tell the difference. Here’s “sponsored content” that looks like news on Quartz’s website. This is on the news site’s homepage. Barely anyone consumes news that way, so what’s the big deal? Yes, most content is consumed via social and search. This is why the trend in online publishing is to go where the people are and be platform agnostic—to post content to platforms like Snapchat and Facebook. News outlets don’t only do this for their content. They do this for their sponsored content (thus becoming “native advertising”). Of course, the news outlet has no control over their presentation on these platforms, further blurring the trust between what is “real” and “reported” and what is “fake” or “advertising.” Below are two Bloomberg stories on Facebook. On left: a typical reported news story (link). 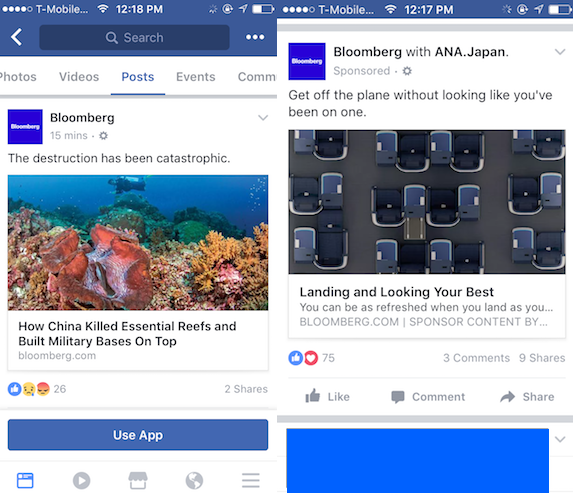 Right: content produced for ANA Japan and then paid to be promoted on Facebook under the Bloomberg name (link). See how subtle the markers are? Want to see how deep it goes? Remember that “related stories” image from CNN. Notice anything? Bloomberg is using that service to promote their native advertising! With the same sponsored content! The resulting arrangements are more client-agency than advertiser-publisher, and advertisers are looking to media companies for a full range of services, from the production of campaigns to the often paid-for placement of the content across the internet and social media. The basic revenue model is having an understanding and a technology platform for the distribution of social content. That model will be the same. We’ll be more on mobile, we’ll be more video, it’ll be more international, but the general model will be that brands become more like publishers and the best guide for them is a publisher — that really has a deep understanding of how this stuff works, and has a technology to support it; that if they want to go deep with someone to really take branding content to the next level, it should be us. That’s sort of the plan. This creates incentives to demonstrate to advertisers that the news outlet knows how to spread content on social media. Thus, a piece of news content that spreads has a better business value to the news outlet than one that is journalistically sound. Programmatic rewards scale (meaning: the more people that see the ad, the more money one makes). Native advertising rewards scale. Therefore, the news outlet has to build up as many followers on all of its social platforms as possible. This results in editorial practices that don’t prioritize nuance, accuracy, or originality. 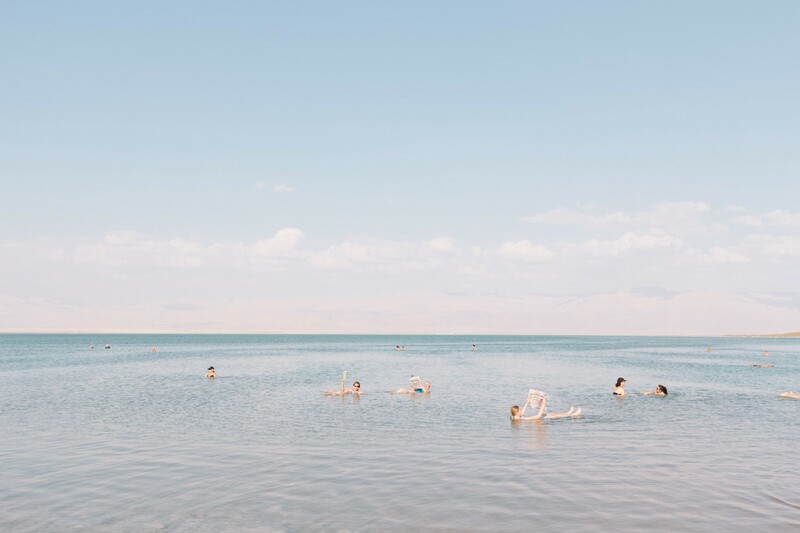 Instead, whatever plays on social is king. For example, Buzzfeed encourages “community posts” to help maximize the chances something will catch fire on social. 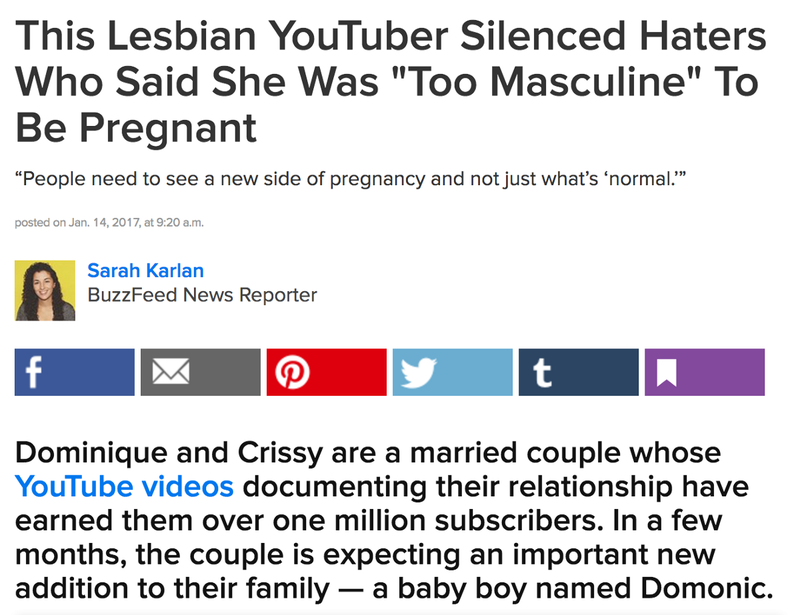 Here’s Buzzfeed’s “community posts” that have 95% of the template for the reported news. The Russia-hacked-our-electric-grid story now has a full-scale retraction in the form of a separate article admitting that “the incident is not linked to any Russian government effort to target or hack the utility” and there may not even have been malware at all on this laptop. But while these debacles are embarrassing for the paper, they are also richly rewarding. That’s because journalists — including those at the Post — aggressively hype and promote the original, sensationalistic false stories, ensuring that they go viral, generating massive traffic for the Post (the paper’s executive editor, Marty Baron, recently boasted about how profitable the paper has become). Well, what changed was that now he is elected. And now it is very important that we all support the president, and that we all come together and we stop whining and it becomes one nation. And this is exactly what I feel about Trump. It’s what I felt about Obama or anybody. When someone is elected then you go 100% behind them and you help them and help them shape the future of the country. The problem isn’t that news outlets make these mistakes. It’s that they make them because they have business incentives to do so. Remember: news outlets have to do well on social media in order to make money. Most outlets chasing reach leverage social media (mostly Facebook) to get content read by as many people as possible. This changes the reward from “quality” and “originality” to getting content to spread virally. This decreases trust. In fact, it’s better to have more content than less, so lots of disposable stuff is written quickly, with little regard to what it adds to discourse. This decreases trust. Virality requires a visceral emotional reaction by the reader, regardless of nuance or truth. This decreases trust. Bonus points if you can shame an “other side” that your audience is galvanized around, and alienate those not included in your chosen tribe (hold that thought). This decreases trust. Then, enterprising people create content with the sole focus of taking advantage of this machine which floods the zone (like our friends with the Dwayne Johnson story) and, yes, decreases trust. Meanwhile, campaigns for companies are written as articles and published in an outlet’s feed, further confusing readers which… well, you get it. However, these outlets have to do these things in order to pay for the “good” stuff. Yes, news outlets (and their fans) can point to the great reporting done by their outlet. But they often ignore the consequences of how that reporting is funded. Yes, advertisers can claim that some algorithm places their ads. But they ignore that their marketing budget is supporting sites with deceitful ends. Yes, social networks can claim they want to be an agnostic platform. But they ignore the credibility they give bad content. Meanwhile the reader sees the entire picture, often unable to separate what’s an opinion, what’s an ad, what’s fake, what’s a “quick hit”, what’s a deeply reported story, or what’s sponsored content. To continue the metaphor, it’s like if Ford only profited when it sold unsafe cars slapped with the Ford logo at its dealerships. And then, years later, wondered why nobody trusted them anymore. News outlets have been gunning for wide reach since the days of the penny press. This is no revelation. What’s different in our modern landscape is that the wide reach is attained using social media and platforms completely outside of the control of the news outlets. And the stuff that sells on social media is content that plays to the reader’s identity and confirms the reader’s preexisting beliefs. The internet is one of many late capitalist phenomena that allow for more flexible, rapid, and profitable mechanisms of identity formation. Connecting capitalism and identity formation requires extensive contextualization. Americans are being played against one another because our media consumption is reinforcing the idea that we’re more different than alike. Because that’s what shares. Because that’s what builds their social media reach. Because that’s what results in better scale for native and programmatic advertising. Because news outlets have to do this to survive. All of the means outlined above (in which news outlets mortgage their credibility for money) cause the distrust for news outlets to filter down into distrust for the people that believe or identify with those news outlets. Remember our example with The Washington Post rushing to judgement on the power grid hacking story? Fans of WaPo could refute the example as being indicative of the paper’s larger failings. After all, the paper has demonstrably produced incredible works of journalism. Those fans would be correct. But detractors could point to the articles WaPo got wrong. Or the opinion pieces that were offensive to them. Or to the uncomfortable relationship WaPo has with sponsored content. Those detractors would be correct. Soon we stop trusting outlets that don’t talk to us the way we’d like, because we can point to a failing of their trustworthiness. Every news outlet is not equally trustworthy. But we no longer analyze what we read on a case-by-case basis. We see who is sharing news from which outlet and make the call. The rise of naked partisanship, and increasing economic and regional stratification, the splintering of our media into a channel for every taste — all this makes this great sorting seem natural, even inevitable. And increasingly, we become so secure in our bubbles that we start accepting only information, whether it’s true or not, that fits our opinions, instead of basing our opinions on the evidence that is out there. We get sliced and sliced into smaller and smaller groups, each with its own group of pundits, publications, and Facebook memes. And as advertising mixes with propaganda mixes with actual reporting we can’t tell the difference anymore. It’s a never-ending scorched earth campaign, made possible because harming trust and encouraging tribalism is economically rewarded. In other words, the economic incentives of news directly contribute to the divisiveness of our country. Facebook collects the ad money. 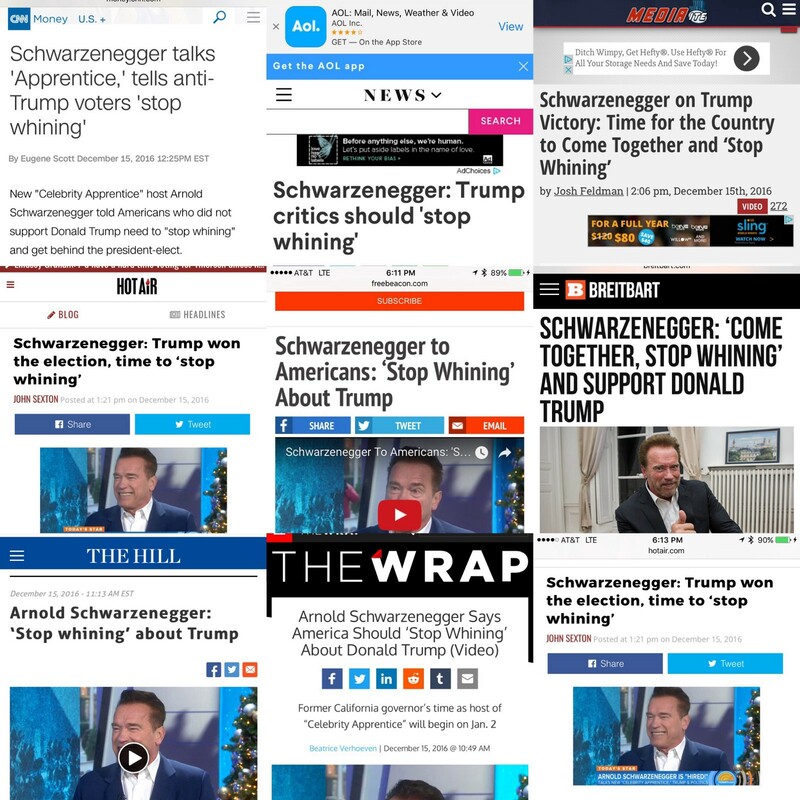 Advertisers get the clicks. News outlets live to fight another day. No group has any incentive to change and the rest of us are left fighting it out. But, and here’s the cruel part, history is repeating itself. As Facebook, Twitter, Google, and Medium ALSO have no economic incentive to solve these problems. It’s the reason the Twitter community continues to wait for tools to manage abuse. It’s the reason Google continues to highly rank and provide advertising for content that is purposefully meant to deceive. That Facebook can only throw several token efforts to appease those who blame the platform for spreading “fake news” while not giving publishers any compensation. The reason they can do that? They can wait it out. Those platforms control the audience and the ad market. Facebook, Google, and Twitter (but especially Facebook) don’t make any more money by supporting journalism. The worst “fake news” ever written is that these companies somehow have a reason to care about good journalism. Facebook’s stock won’t skyrocket if its users share a hard-earned and important scoop over some meme. Medium, to its credit, is realizing what it was contributing to and is trying to do better. But the content we read online is going to be continue to be backed by harmful business incentives. That is, until either the consumer demands otherwise or until some enterprising person can build a repeatable model that allows journalism to thrive without being mercy to platforms for advertisers that care about reach. Seeing that the latter has never happened, all we have is the former. I know I’ll sound like some kind of pollyanna to suggest that if the American people demand more of their media outlets, advertisers, and social networks everything will work itself out. But I’d guess, regardless of your politics, you and everyone you know is tired of the current climate. You’re tired of those participating in the current media landscape acting like we can keep a republic via sweet Twitter burns or made-to-go-viral videos on Facebook with no context. Tired of people who don’t think like you totally misunderstanding reality as you see it. Tired of charlatans playing to the worse instincts of their tribe and getting rewarded. Tired of pinning the promise of journalism on the good will of its members who have every economic incentive to do otherwise. And, call me naive, but I’m tired that Americans of all walks would rather find reasons to hurt one another than help one another. Any solution is complicated and I have no illusions that it would happen in the next few years, if ever. But the first step is admitting we have a problem. Not one just one “side” or one outlet. But all players, news outlets, readers, advertisers, social media companies need to admit what we all know deep inside: Nobody is happy with this, and it’s time to try something new.